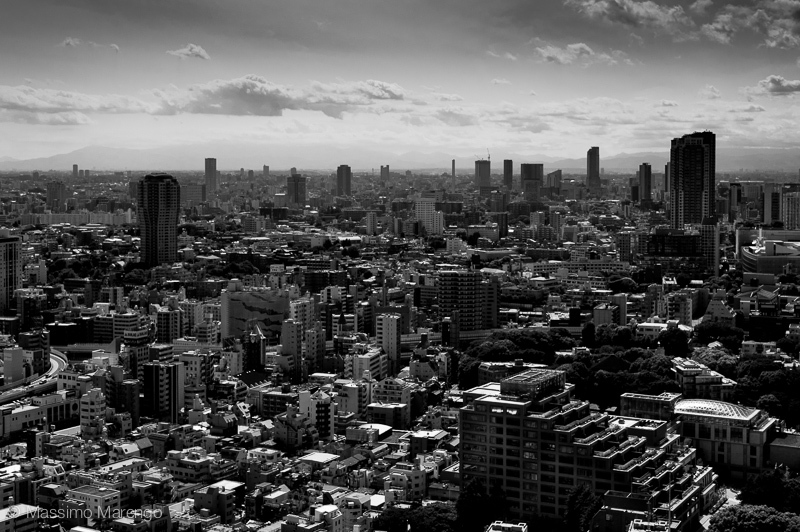 With 333 meters height, until recently the Tokyo Tower was the tallest building in Japan. As you can sort of see in the small photo below, it looks like a red-painted Tour Eiffel. The Tokyo Tower was in fact one of the few buildings in the city that I already knew before my trip, as it features prominently in a long series of japanese anime and disaster movies. King Kong may have climbed on the Empire State Building holding the belle in his hand, but nothing compares to Godzilla incinerating the Tokyo Tower with his foul atomic breath! When we visited the Tower at the end of our Tokyo mini-tour, however, the sea monster was nowhere in sight. The tower has two observatories, situated at 150 and 250 meters. From there one can see a wide view of the city, all the way to Mt. Fuji (if you are lucky enough to get there in a rare clear day). The view from the observatories is very impressive and reminded me of the opening scene in Blade Runner, with buildings lost in the mist all the way down to the far horizon. 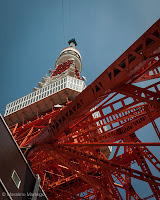 The structure also fulfills an important role as broadcasting tower for radio and television signals in the Tokyo area. 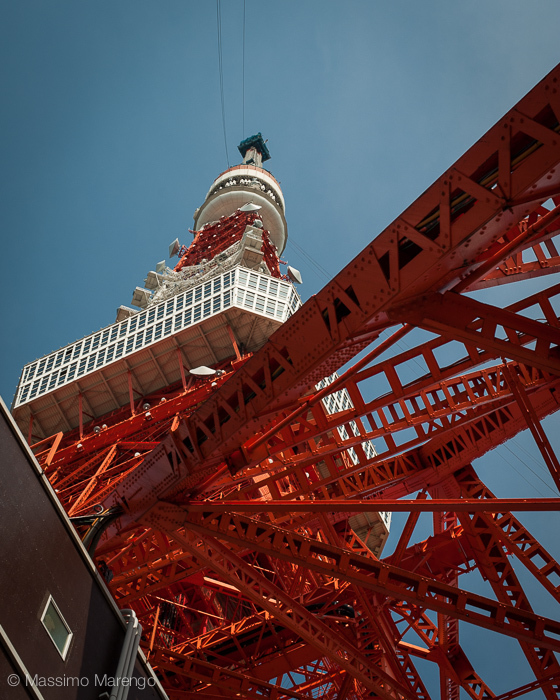 Our visit to the Tokyo Tower marked the end of its record as tallest free standing building in Japan that a tourist can visit. In case you are wondering, this was not our fault. By sheer coincidence that same day of our visit the observatory of the recently completely (and twice as high) Tokyo Skytree opened to the public. This new concrete and steel tower was constructed to support the broadcast antennas required to diffuse the high frequency signals of modern digital radio and television. You can see the newly completed Tokyo Tree tower in a previous post of this series, still unscathed by the relentless attacks by Godzilla and its monster friends.